Seniors Mike Kevlin and Mike Murcia had their season's come to an end on Saturday at the 2009 Region 6 Wrestling Tournament. Kevlin was defeated in the Region by top-seeded Nick Visicaro of Long Branch in Saturday morning's semifinal round. He came back to win his wrestleback semifinal, 10-1, over Wall's Brad Woszczak. In the 3rd place matchup, Kevlin dropped a 3-2 decision to TR East's Anthony Sherman who he had defeated in the quarterfinals. Murcia was defeated in the semifinals by Raritan's Matt Mitchell, 6-4, in overtime. He then dropped a 3-0 decision to Wall's Nick Delisa in the wrestleback semis. For the year, Kevlin finishes with a 38-2 record, breaking the school single season wins record that was held by his brother Tom. Murcia finishes up at 33-4. Congratulations to both wrestlers on great seasons and careers and best of luck at the next level. Seniors Mike Kiley and Mike Kevlin picked up wins in their quarterfinal matches to advance into Saturday morning's semifinal round of the Region 6 Wrestling Tournament. Murcia, who defeated 3rd-seeded Allan Manzano of TR South, 10-5, in his quarterfinal will now face 7th-seeded Matt Mitchell of Raritan in the semis. Murcia defeated Mitchell back on January 10th and recorded an 8-3 victory. Mike Kevlin was dominant in defending his District title, scoring a tech fall in the quarterfinals, and pins in the semifinals and finals on way to winning the 160-pound weight class championship at the 2009 District 21 Tournament. With the win, Kevlin, who became the 4th 2-time District Champion in SJV history, receives a bye into Friday night's quarterfinal round of the Region 6 Wrestling Championship at the Ritacco Center in Toms River. Also qualifying for the Region tournament was senior Mike Murcia. Murcia bounced back from a semifinal loss to defeat Colts Neck's Anthony Anzalone in the 3rd place bout. Murcia will compete in the opening round of Regions against Brandon Shenan of Ocean Township. 215: Chris Spagnola (SJV) by forfeit. 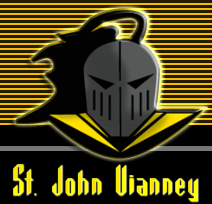 Junior Chris Spagnola (215) and seniors Mike Murcia (112) and Mike Kevlin (171) won individual titles, and five more Lancers finished in the Top 5, as St. John Vianney finished tied for 3rd Place out of 14 teams at the 2008 Matawan Icebreaker. The 3rd place finish was the highest the Lancers have ever finished at the Icebreaker. 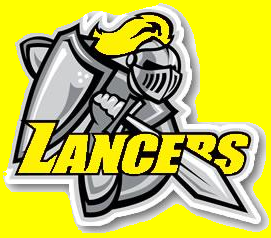 The Lancers had eleven wrestlers overall with two or more wins, including a pair of wins each for freshmen Danny Falco and Colten Bigelow. Jon Valania (125) and Nick Cioffi (130) picked up their first career varsity wins.